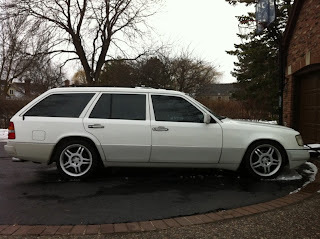 1994 Mercedes Benz E320 Wagon With a 3.6 Liter C36 AMG Engine - This is really cool. This E320 wagon has a 3.6 liter AMG engine in it. It also has E420 4 piston brake calipers, SS brake lines, Koni front shocks, H & R Springs and other upgrades. It also has a nitrous kit, which the seller says he hasn't used. The car has 214K miles on it, but the seller claims the engine has just 60K. Located in the "Northern Suburbs of Chicago", click here to see the Craigslist ad. There are no pictures with the ad, but the seller leaves a link to a Photobucket album, which you can find here. A big thanks to JaCG reader, Russ, for sending me the link to this car! 1980 Rover SD1 3500 - I'm a little confused by this ad. 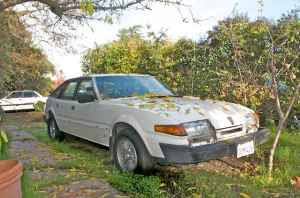 The seller says "California car (right hand drive)" A car originally sold in CA would be left hand drive. So, is this a British car that made its way to CA, or was the seller just a bit confused when he wrote the ad? (Confusion while writing and typing is something I'm very familiar with.) The headlights look European, but it's not a real clear picture, so I'm not 100% sure. The bumpers look like they're European as they lack the side marker lights found in the bumper ends on US spec cars. Whatever it is, it looks to be in pretty good condition. The seller is the original owner. The SD1 is a fun to drive car (I owned one) that attracts attention every time you drive it. Located in Palo Alto, CA, click here to see the Craigslist ad. 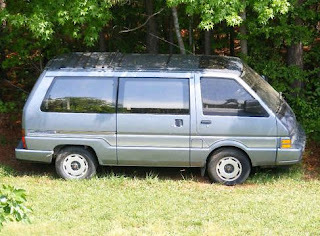 Nissan shoehorned a 2.4 liter engine into the Vanette for the US market. This engine was a lot bigger than the JDM engine. The combination of the engine's heat and tight quarters caused them to catch fire. The Vanette was a pretty nice van... when it wasn't in flames. The sharp slope of the front end looked kind of cool, it was nicely appointed and handled reasonably well (for a van). If you're looking for something different to haul stuff around in, this could be a cool van to own. Just make sure you have a fire extinguisher handy. Located in Colerain, NC, click here to see the eBay listing. A big thanks to JaCG reader, Brandon, for sending me the link to this car. the GM EV1 while not a buyback per say was one that the manufacturer wanted back at lease end and the S-10 EV too if on lease - although a few S-10's apparently were fleet purchases so a few may still exist in the wild. I think the hydrogen vehicles currently in production will meet a return and destroy fate at lease end as well. Lancia wante back all there cars in britain when they were rusting to pieces. Citroen did offer to buy back the sold GS Birotor, and so did they with the rallye version of the BX, the BX 4TC.